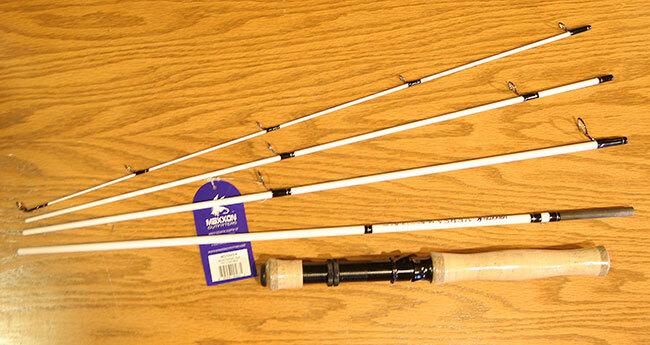 Versa Pack Fly Rod - Spinning Rod 2 in 1 - 4/5 wt - 7'6"
Maxxon Versa Fly and Spinning Pack Rod - 5 Pc. The VERSA rod has the unique ability to be used as both a Fly Rod and a Conventional Spinning Rod. Whether hiking deep into back-country waters or just heading down to your local lake, this packable five piece rod can go anywhere. This is also the perfect set up to keep stowed in the car. You never know when you'll find new waters to test! The perfect rod to transition anglers from conventional to fly casting. Fly and Spin Rod 7'6"